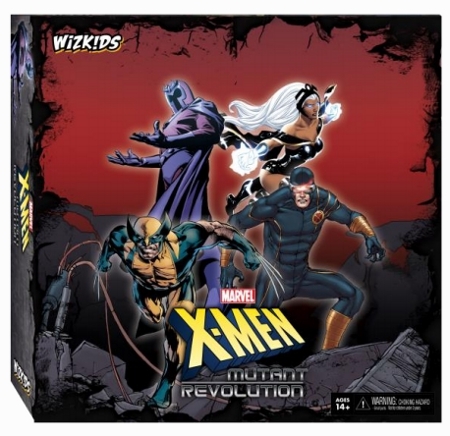 On March 18, WizKids will release a new game based on the X-Men, X-Men: Mutant Revolution, a strategy board game. The game takes place in the aftermath of the “Phoenix” event. As a player, you play as Wolverine, Cyclops, Magneto, or Storm, and you spread their vision for the future across the globe. You do so by recruiting heroes and students, train their teams, and complete missions. All of this as a battle for the future of mutant-kind. The game is based on Gale Force Nine’s Spartacus: A Game of Blood and Treachery. The box contains 4 character figures, 24 dice, 269 custom tokens, 157 cards, 4 custom bidding dials, and a game board. The game is for 2-4 players, ages 14 and up. MSRP is $49.99.